With consumers shelling out more than $435 billion on Christmas gifts, food and decorations every single year, businesses small and large should not hesitate to get into the spirit of the season and get those customers through the door. The best way to do that? SMS marketing. By engaging your subscribers and sending them Christmas offers so special they can’t pass them up, you can bring traffic into your establishment and further build your rapport with your client base. 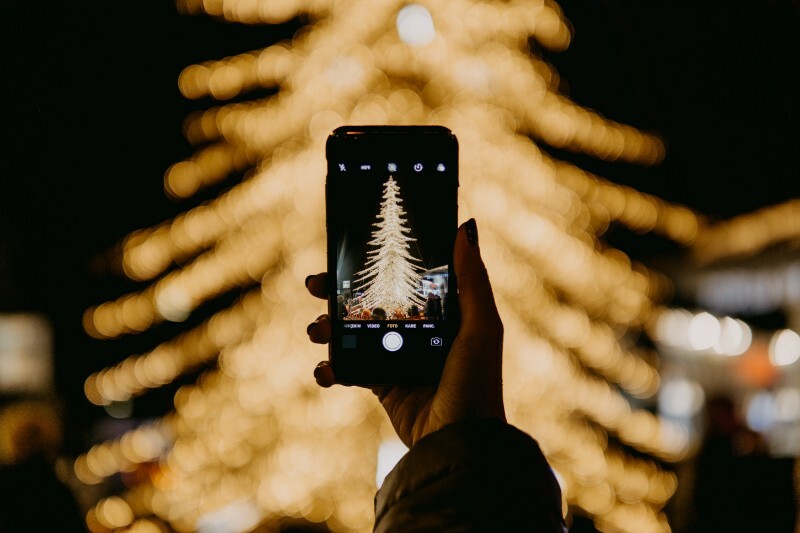 If you’re launching a Christmas text marketing campaign for the first time or if you’ve tried text marketing in the past but want to make sure your strategy is in alignment with best practices, these tips can help get you pointed in the right direction. Limited time offers are exciting to customers and motivate them to make a purchase decision during a time period where they’re being bombarded by marketing messages. Send your SMS subscribers notifications about these special sales and make sure they know when the limited time offer will end. If you have an online store, attach a link to your store in the text message within your call-to-action. If you’re a brick-and-mortar establishment consider sending and MMS with a mobile coupon that can be redeemed at checkout. Basically your goal should be to create an exciting, motivating offer that’s easy for your customers to act on. Research shows that customers want a personalized shopping experience. What’s more, they practically expect it. The amount of data you have on your customers will determine how you personalize their text messages. At the most basic level, you can address them by name. Getting more advanced, if you know what they last ordered from your establishment you might want to ask if they want to re-order for the holidays. Do you sell cheese? Perhaps their favorite cheese would make a good gift or a great table item for their holiday dinner? This handy post can give you ideas on how to personalize your text messages. If you’ve had difficulty growing your list in the past, Christmas could be a great time to try to build some momentum that you can carry throughout the rest of the year. At a time of year where people are looking for deals, a Christmas-themed text-to-win contest could help add subscribers to your list. You might also consider putting up signage in your establishment or adding an opt-in form to your website. Prepare for the increased Christmas traffic and get the right strategies in place to convert these visitors into members of your text list. You’re obviously already using your business landline to make phone calls but did you know you can enable two-way texting on the same number? For many people, especially millennials, texting is the go-to communication method. You might be missing out on engaging with people who are texting your number instead of calling it. At Christmas especially, when consumers are more actively looking to engage with businesses, it’s critical to have as many of your lines of communication open as possible. Enabling text-to-landline can help open up a way to communicate that you might not have even been aware of. Need some additional inspiration for your Christmas text marketing campaign? If you’re still struggling to come up with creative ways to combine the spirit of the holidays with your text marketing strategy, here are specific ideas to jumpstart your creativity. Create an incentive for the first shoppers who come in store for Black Friday or Boxing Day. Text shoppers to let them know you’ll be offering free coffee, hot chocolate or refreshments. When you send your message advertising special deals and sales offers, let the customers know that free cocoa and hot chocolate are also going to be provided. Create amazing exclusive deals for members of your text list. There is no better way to attract a customer than to give them a freebie, especially during the Christmas season. Use an MMS to send out digital greeting cards to everyone that is on your marketing list. You can create videos, GIFs, custom graphics or send photos. Capitalize on Christmas themes. Use the momentum of the season to propel your marketing, even if you choose not to change your offers too extensively over the holidays. Send notifications about special events you’re hosting — or that are happening near your store. Will Santa be making a special appearance? Are you having a holiday dinner or a party? You can use text marketing to send text alerts about these events. Tap into the spirit of giving by offering your customers give one, get one deals or bring a friend specials. Use your text marketing list to be helpful and make consumers aware of your special store hours for the Christmas holiday. Even consider offering a special set of hours just for those who are on your marketing list to make things even more interesting, possibly an after hours shopping party or access to early opening hours for people on your list. The holiday season can be a great way to build a relationship with your customers, but don’t let it be the height of your interactions with them. Use Christmas as a way to grow your list and establish rapport with people who sign up for your text marketing messages. Then, make sure you head into the new year with a solid plan to engage these people year-round. Hopefully your text marketing will continue to build on itself and be more successful each year, so Christmas should be just another tool in your kit to help grow your goals and not a standalone project.